Omega 3 fats are hugely beneficial to human health, lowering triglycerides and reducing systemic inflammation, thereby reducing risk of stroke and heart disease. Read more about it here. Many people take fish oil supplements to get their Omega 3, but it is far better to get it through the food you eat. Todays lunch is very decadent. 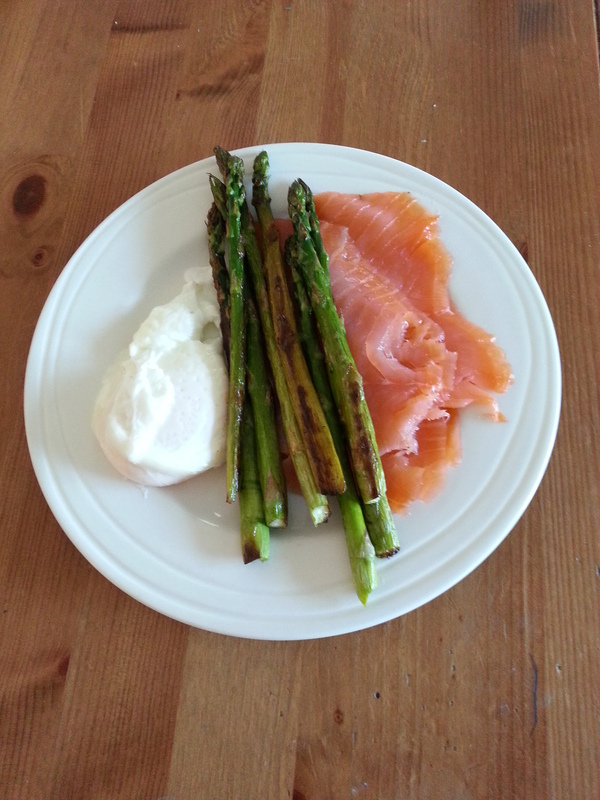 I gently fried some asparagus in butter, poached an egg for 3 minutes so that the yolk remained runny and served with 100g of smoked salmon and a pot of tea. It’s full of omega 3 healthy fats from the smoked salmon and essential vitamin K2 in the egg yolk and butter.